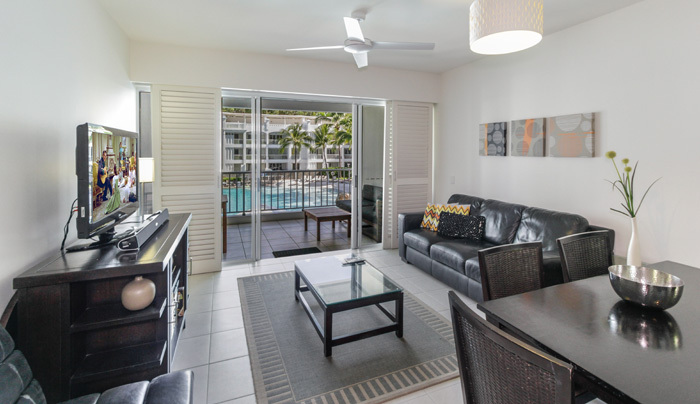 Beach Club Palm Cove Resort in Queensland offers you fantastic "value for money", "privately managed" apartments. 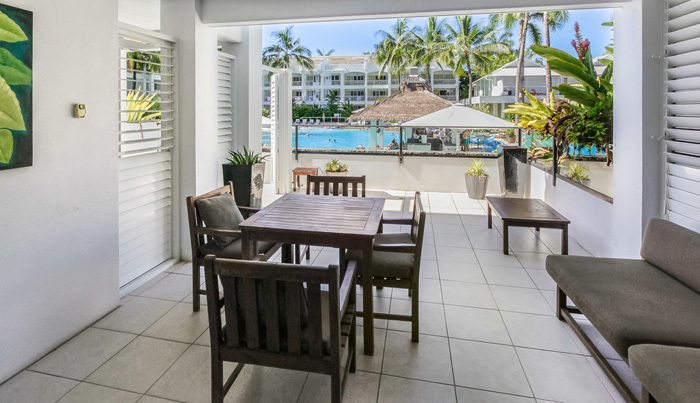 The Beach Club Resort & Spa Palm Cove is an inexpensive way to experience and appreciate an elegant and inviting 5 star accommodation resort in the ever impressive Palm Cove in Queensland. 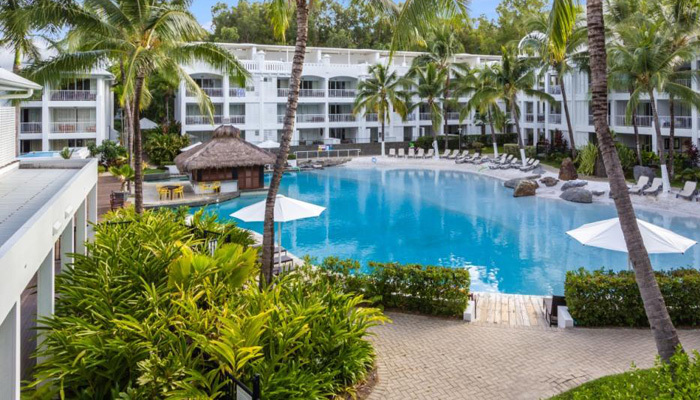 Set in the heart of the charming Palm Cove village, Beach Club Palm Cove Resort is the perfect place to indulge in tropical relaxation. It's a place where you can relax, dine, shop, be pampered, have great adventures and be entertained from morning until night. Stately melaleuca trees shade the resort's porte cochere, welcoming guests into a private world where the air is scented by fragrant gardenia and cooled by gentle ocean breezes. Enjoy two delightful experiences in the lagoon pool; a cascading waterfall for romantic interludes, or sandy beach perfect for kids' play. 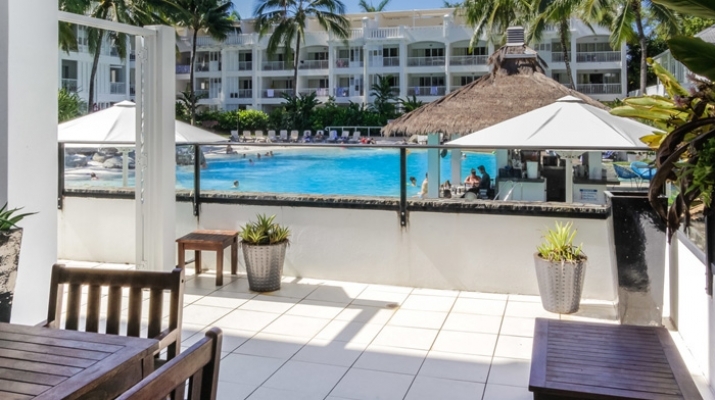 Choose from the unique lagoon swimming pool with swim-up bar and sandy beach, a formal pool or the rainforest lagoon pool. 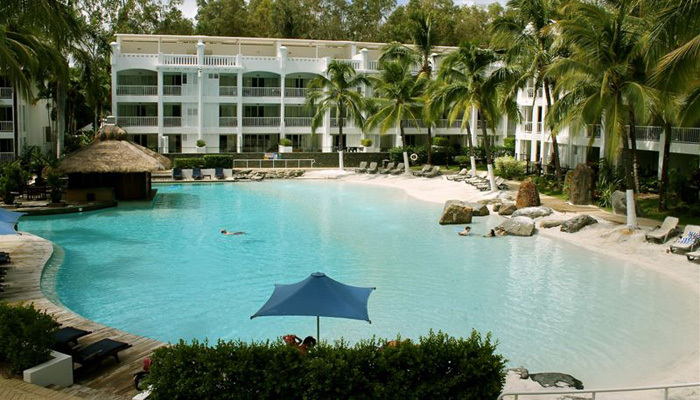 Sun lounges are scattered around all pools and on the grass surrounded by landscaped gardens. Beach Club Resort’s Sanctum Spa offers a complete range of therapeutic massage, hydrotherapy and beauty treatments. Bookings are essential and can be made by phoning reception. 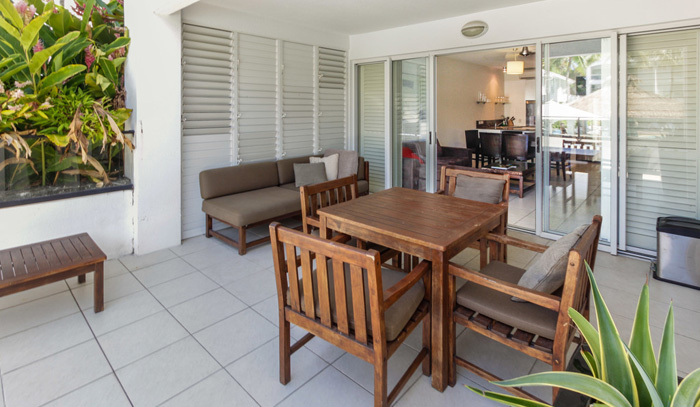 The gymnasium at Beach Club, Palm Cove is located in the tennis club area at the western end of the resort. Opening hours are 8.00am-8.00pm, 7 days. 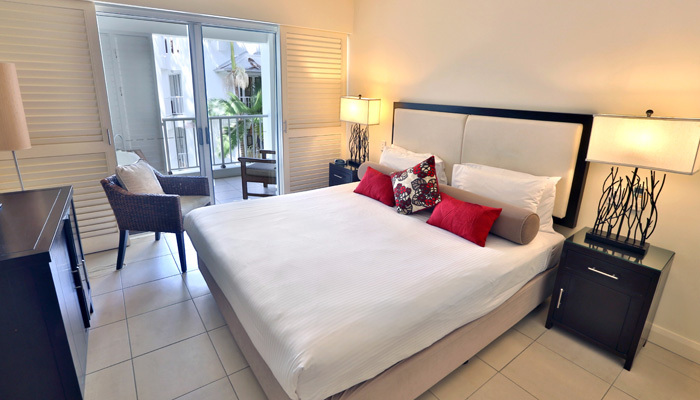 The tennis court is located on the western side of Beach Club Resort bordering Palm Cove’s Cedar Street. Hours of operation are 8.00am until sunset every day. A small charge for equipment hire applies. 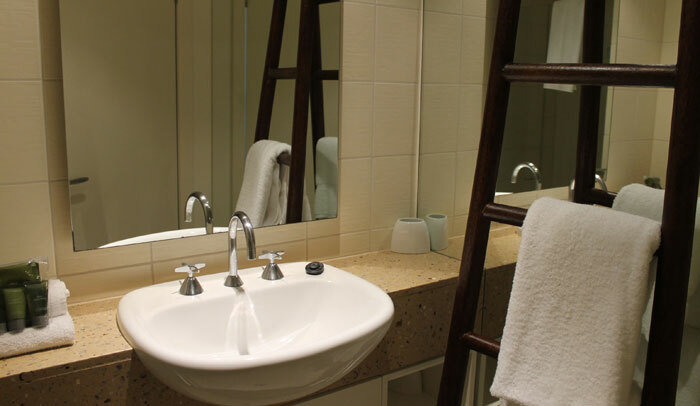 Studio Suites feature: tea and coffee making facilities only, ensuite bathroom with shower and a spa bath on the balcony. 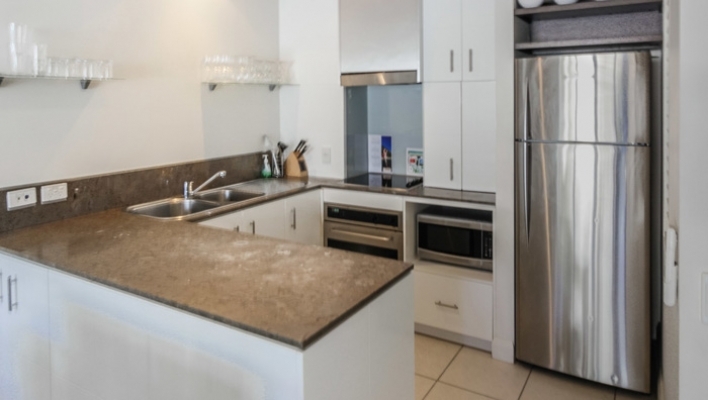 One Bedroom Suite: feature: Full Kitchen facilities, laundry, lounge-dining room, balcony. 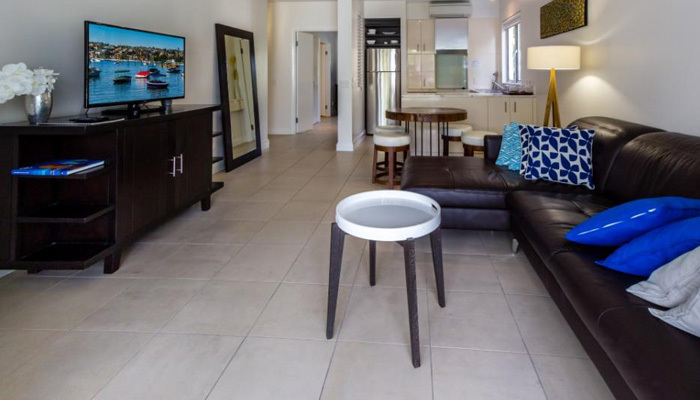 Two Bedroom Suites are interconnecting rooms dual keyed into a One Bedroom Suite and Studio Suite.